Summer is finally here and we've packed our beach bag full of all our favorites to keep your hair looking its best all summer long! Best Haircare Duo: REDKEN Color Extend Magnetics Shampoo & Conditioner: ideal for protecting and prolonging haircolor, sulfate-free. Best Clarifying Shampoo: Matrix CleanReset Normalizing Shampoo: clarifies impurities and product build-up. Use weekly or bi-weekly. Best Serum: Cibu Ancient Serum: nourishes and smooth frizz with argan oil. Ideal for all hair types. Best Blowdry Prep: REDKEN Satinwear 02: this mild control lotion provides protection up to 450 degrees plus provides UV protection to preserve hair color. 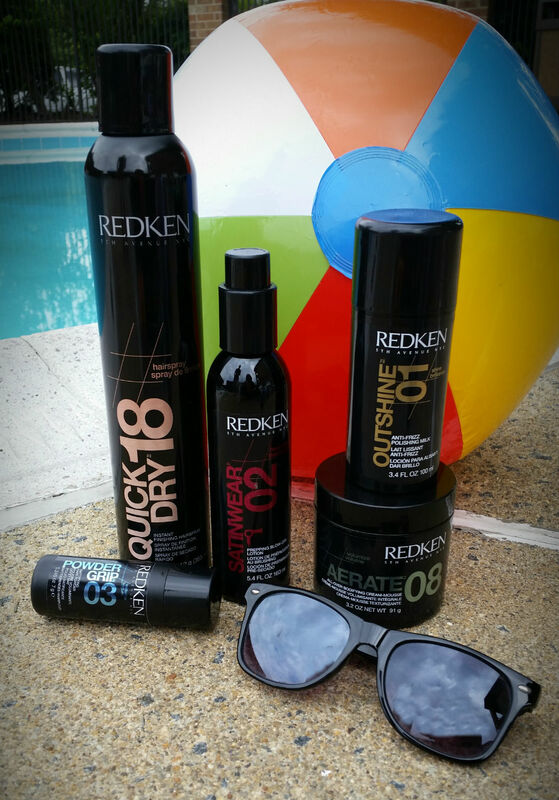 Best Hairspray: REDKEN Quick Dry 18: finishes any style with high shine, firm hold and fast drying. Best Body Booster: REDKEN Aerate 08: adds volume with all-over bodifying cream-mousse containing UV filters to protect color. Best UV Protector: Matrix ColorLast Shake Shine: helps maintain the color depth, tone and shine for vivid color-treated hair. Best Leave-In: It's a 10 Miracle Silk: achieves silky soft hair with this do it all leave-in. Best New Product: It's a 10 in10sives: all the benefits of the spray leave-in but in a lightweight cream. Available in all Hair Cuttery salons 7/1. Visit your local Hair Cuttery to find all these hair care and styling products. All of our value packages include $3.00 off a regular priced retail item, so you can maintain your summer style with the best products for your hair type and styling needs. Have a fun, safe and stylish summer!